Will you be my Valentine? Love matters to all of us. 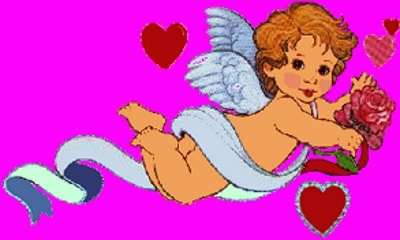 There will be millions of Valentine celebrations taking place all over the nation on 14 February. Hearts, red roses, chocolates, gifts, expensive treats and marriage proposals will be exchanged to signal love on that day. But… babies are born every day. People embrace each other every day. Loving relationships begin every day! Lovers kiss every day and babies are universally loved. Affection and love shape our brains from that first kiss on day one and continually along our life course. They create that extraordinary mother and baby bond, stimulate social interactions and enable long-lasting friendships. Early loving relationships are nurtured and supported by our families, friends, health professionals and wider society. Being held closely, and responded to sensitively, by those who love you more than anyone else, has far-reaching effects on long-term emotional security and health. The neuroscience evidence behind this is getting stronger every year. Sue Gerhardt explained that in her book Why Love Matters: How Affection Shapes a Baby’s Brain in 2004. Margot Sunderland explained the impact of this knowledge for parenting in 2006, in What Every Parent Needs to Know: The incredible effects of love, nurture and play on your child’s development. Humans are very adaptable and babies respond to how they are treated, feeling secure and appreciated if they feel loved. Francesca Entwistle explains the importance of helping the baby develop secure attachment in the 2013 Evidence and rationale for the Unicef UK Baby Friendly Initiative standards. The Unicef UK Baby Friendly Initiative programme has been universal in changing attitudes and encouraging best practice over the last 20 years in the UK through robust accreditation. It delivers the minimum basic standards required to support new parents – no matter how they feed their babies. It aims to create the best environment for the start of every baby’s life but is not yet mandatory for all maternity facilities in England and Wales (see WBTi UK 2016 report – Part 1, Indicator 2). The governments of Scotland and Northern Ireland have a funded national strategy with a coordinator supporting all maternal and infant health professionals, and 100% of maternity units in Scotland and Northern Ireland are accredited, with community facilities aiming to achieve the same. This cascade of national to local support aims to ensure all parents receive the best possible information, free from the undermining effects of commercial persuasion, with practical support to be enabled to make healthy decisions for themselves, which helps fulfil the government’s health message. Families would benefit if England and Wales followed the best practice example of their neighbours. What does Baby Friendly care mean for parents? Relevant information from pregnancy onwards, skin-to-skin contact immediately after birth as standard practice, and practical help with learning how to feed your baby. For more details, see You can expect the following standards of care from a Baby Friendly hospital. If all expectant parents knew about the standards, they could help press for them to be implemented universally. The WBTi UK report points out gaps and provides recommendations to overcome the many barriers that women face in their daily lives, journeying from pregnancy through birth, the postnatal months, back to work and beyond, living in their own communities. See Part 1, Indicator 2 of the report for more information, with further details in Part 2. Implementing the WBTi recommendations would contribute to the provision of the optimal conditions all parents need to begin raising their child in a loving and supportive society.